Power of attorney is a legal document which is used to designate someone to act on your behalf in legal matters such as healthcare and finance. Power of attorney is also the authority to act on someone else’s behalf–it appoints an “attorney-in-fact;” the person with the power of attorney is the one who will take action for you. A power of attorney designation can be put in place for a specific transaction like buying a house or vehicle at auction. Once the transaction is complete, the power of attorney is no longer valid. 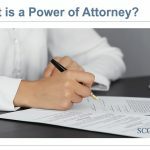 Other powers of attorney can only be effective once you’ve become incapacitated (known as “Springing”), or they can become effective upon executing the document. 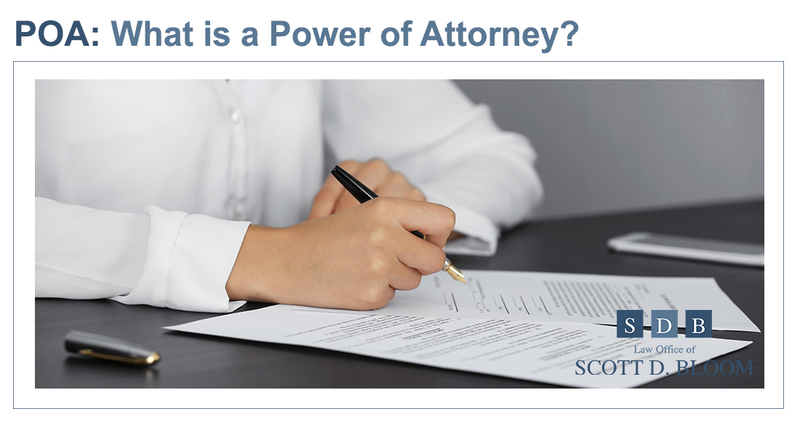 Without question it’s best to create your Power of Attorney document(s) before you need them. A Power of Attorney can only be created while you are still of sound mind—an important legal standard that must be met for Powers of Attorney to be valid. WHAT ARE THE DIFFERENT KINDS OF POWER OF ATTORNEY? A durable power of attorney is a document that appoints an individual to act as your agent. The scope of their agency can be finances, legal matters or health. The term durable means the power of attorney has no expiration date, it endures even if you are incapacitated. You can appoint anyone you want as your agent, it can be a trusted family member or friend; it can also be an attorney. A healthcare power of attorney is a kind of durable power of attorney, that is specific to healthcare. You appoint a person to act as your healthcare “agent,” the person who will make medical decisions for you, particularly when you no longer can. 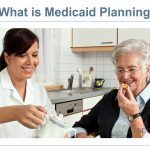 When you prepare your healthcare power of attorney, your attorney will ask you all kinds of questions about life sustaining measures, end-of-life considerations and giving medications. The document can spell out your wishes and how you want your agent to act for you. 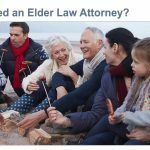 WHAT IF I DON’T HAVE A POWER OF ATTORNEY? For financial matters, the state in which you reside will open probate proceedings on your behalf, and a guardian or conservator will be appointed to oversee your finances. This person may or may not be someone you know. Family members and others will then have the ability to apply to the court to take care of financial matters for you. The probate process will be costly and lengthy. If no Healthcare Power of Attorney is in place, medical personnel will seek out close family members to make decisions for you. Without a Healthcare Power of Attorney, where you’ve made your wishes known in advance, your family’s conflicting opinions may override what you would want to happen. If there is no next of kin available to medical personnel, then medical professionals will make the best possible decision on your behalf–which may or may not align with what you would want them to do. Michael is divorced, 58 years old and is enjoying his later years. He loves his work, his girlfriend and his extended family—not necessarily in that order! He dotes on his family including his grown kids and grand kids. Everyone lives pretty close by and family get-togethers are frequent and so much fun. Fortunately, he and his ex-wife get along just fine, so much so their children and grand kids can all socialize together without the worry of heated family drama. He delights in seeing the little ones play and he loves to spoil them with trips to the ice cream shop about a mile away from the house. Michael can keep up with the kids pretty well, he exercises each day with a walk around the neighborhood after work. He also quit smoking when he was 55 and he’s feeling better than ever since he stopped. At dusk one Friday evening, Michael was on his walk, crossing the street just two blocks from home. He was struck by a car, driven by a drunk driver, who went too far with happy hour specials after she left work. She was celebrating a promotion. She was speeding, looking at her phone and never saw Michael at all. Michael suffered catastrophic injuries: he has cuts all over him from hitting the windshield, multiple bone breaks and a serious brain injury. Michael is in a coma, he can’t breathe on his own or feed himself. A ventilator is doing his breathing for him. A feeding tube nourishes him. It’s been 5 weeks now and there is no change in his condition. His doctors are not optimistic about any recovery, but no one can really say for sure what will happen. Michael has no Healthcare Power of Attorney or Durable Power of Attorney in place. There is no way for him to communicate what he wants. His ex-wife says he would “never want to be a vegetable.” She is correct: if Michael could speak or communicate in some way, he’d tell his children to take him off the breathing machine and remove the feeding tube. He’d tell them this is no way to live. Right now, his three grown kids are grappling with a really big decision: whether or not to keep him on the ventilator and the feeding tube. None of them know what their Dad said in the past about being kept alive if he were in a coma. Two of them think he’d never want to be kept alive in this state. One thinks he may have a miraculous recovery and wants to wait and see what happens. They’ve all decided they need to agree on what they do for their dear father. Without consensus in sight, his kids have a standing date to sit together by their Michael’s bedside every Saturday morning— their Dad looks so young lying there. At just 58, the family’s had their father, grandfather stolen away by a horrible tragedy. Michael lies still in his nursing home bed, he’s safe from further harm, his life may be just this from now on: a bed, a ventilator, a feeding tube and visits from his grown kids, girlfriend and the older grand kids. And caregivers: lots of caregivers will tend to him. If he could only say it, he’d tell his kids to unplug the ventilator and disconnect the feeding tube. He’d tell them to remember all of the wonderful things they did together. He’d tell them he loves them and that he will be watching over them always. If he could only say it, he would tell them it’s okay to let him go. HOW DO I PREPARE MY POWER OF ATTORNEY DOCUMENTS? As a first step, think about who you will place in charge of your finances and your healthcare when you no longer can do this for yourself. The selection is up to you, and you should choose someone who will have your best interests in mind–and who will carry out the wishes in good faith: exactly the way you would do it if you could. A team of professionals can guide you through the steps to prepare your Durable Power of Attorney and your Healthcare Power of Attorney. They will discuss all of the options with you so you can make the best decision for your needs. To get started, talk to the professionals at the Scott D. Bloom Law office. Our family had the good fortune to find Scott Bloom. He was invaluable helping us set up our trust. We had an unexpected health crises and realized that we had nothing in place to protect our children. Scott explained our options and got the necessary paperwork ready for us to hand to our family, accountant and banks. Scott was absolutely the right attorney at the right time for us. We would highly recommend him and his team.